May 30th, 2013 from 7:00pm – 11:00pm. 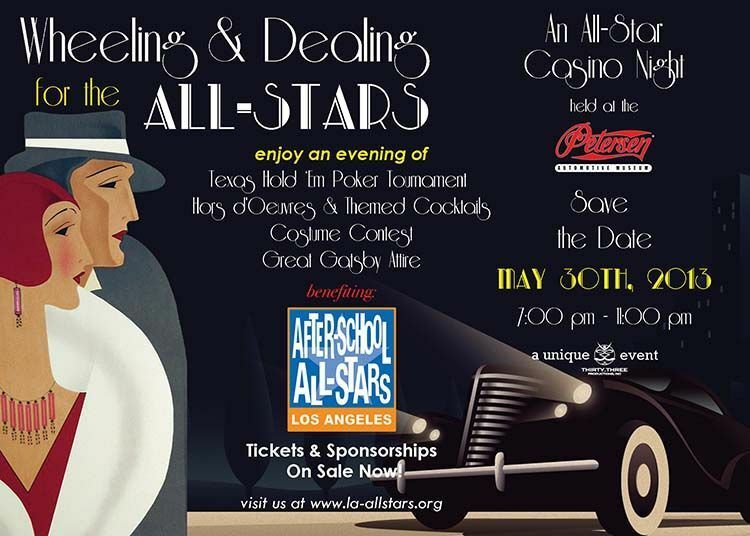 LOS ANGELES, CA – (April 5, 2013) – Gaming for a good cause, top pokers players and esteemed Angelinos will be Wheeling & Dealing for the After-School All-Stars at the legendary Petersen Automotive Museum on Thursday, May 30, 2013 from 7:00pm – 11:00pm. Guests will be transported back to a “turn of the century” Los Angeles with classic automobiles, trains and lots of whimsical memorabilia from the era, while enjoying a fun Gatsby themed night of charitable gaming including a poker tournament and costume contest for exciting prizes, live DJ entertainment, themed cocktails, and Hors d’Oeuvres, with proceeds to benefit the thousands of at-risk youth served by the award winning programs made possible by After-School All-Stars, Los Angeles. Tickets are on sale now. Founded in 2002 by Governor Arnold Schwarzenegger, and with noteworthy support from Program Ambassador Kobe Bryant, After-School All-Stars, Los Angeles (ASAS-LA) is a leading after-school program provider whose programs educate, enlighten and inspire thousands of students each day through after-school activities centered around academic support; health, fitness and nutrition; the visual and performing arts; and youth leadership and community service learning. The organization brings innovative, cutting-edge academic and enrichment programs to K-12 students that contribute to reducing drug use, crime and violence; while increasing their safety during the after school hours. ASAS-LA serves over 8,000 students daily across 44 schools located in deserving areas throughout LA County. ASAS-LA is proud to partner with globally respected Executive Producer, Christine Hansen and Thirty-Three Productions, Inc., to bring the Wheeling & Dealing for the All-Stars event Dream to Reality. 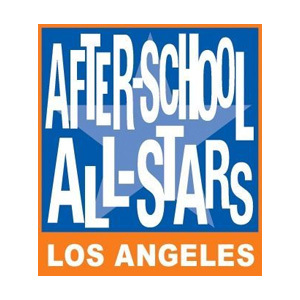 For more information on After-School All-Stars, Los Angeles, sponsorship opportunities and to purchase tickets, please visit: www.la-allstars.org.